ST. GEORGE – An animal shelter volunteer initially arrested and charged with misdemeanor theft on Jan. 13 after she was believed to have stolen approximately $1,000 from P.A.W.S., located at 1125 W. 1130 North in St. George, may now face additional charges after it was discovered the amount she allegedly stole is closer to $10,000. The St. George Police Department is working closely with the Washington County Attorney’s Office in reviewing the additional evidence in this case to decide what action will be taken and if charges will be amended to reflect the higher dollar amount, St. George Police Sgt. Sam Despain said Thursday. Erin Leigh Chapman, 32, had been working as the head dog-volunteer at P.A.W.S. (Providing Animals With Support), a nonprofit, no-kill, volunteer animal rescue organization founded in 2002 that rescues animals scheduled to be euthanized due to lack of space at shelters. Chapman had been with the organization since February 2014. “We suspected our cash flow in December, the amount of cash that was available for deposit, was pretty much nonexistent and we were trying to figure out why,” Lynn Burger, director of operations for the organization, said. After discovering money was missing, shelter operators put video surveillance into place and placed $30 in the till to see if it would be stolen, St. George Police Officer David McDaniel said in the probable cause statement supporting the arrest. Video surveillance footage showed Chapman using her security code to enter the facility and go to the area where the key to the till was kept. Police made contact with Chapman at her home where she first denied the accusations and denied that she had been at the business but later admitted to taking the $30, along with “more than $1,000 across multiple incidents” the entire time she had been volunteering at the shelter, McDaniel said in the statement. Chapman also told police that she had been smoking weed every day. Chapman was booked into the Washington County Purgatory Correctional Facility and charged with a class A misdemeanor for theft before being released on bail. After Chapman’s arrest, shelter operators discovered Chapman had been taking money in gradually increasing amounts for nearly a year. Because the shelter mostly operates using cash, Burger said, the missing money and receipts were not immediately noticed. Other than $20 taken from a donation jar, Burger said the money Chapman stole was not from donations but instead, came from a low-cost pet spay and neuter program available to the public as well as pet adoption fees. She said the missing money is a serious setback for the facility. Burger said Chapman was a trusted volunteer because she was a dog manager and had access to everything. The shelter has since implemented significant changes, she said, including a change in accounting policies. PAWS is deeply hurt by the internal theft that occurred here, not just because it sets us back with kitten season right around the corner, or because we feel betrayed by a trusted volunteer, but because we know you have a choice when it comes to where you donate your hard-earned money. We want you to know that we are working within the legal system to get the money back. We are implementing policy changes to prevent internal theft from occurring again, and we are determined to use this situation as a learning experience so that we come out of this a stronger organization than we were before. 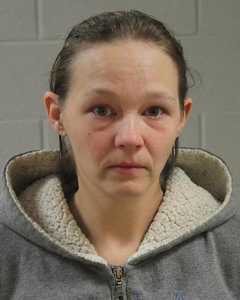 Chapman has pleaded not guilty to the theft charge and a bench trial for her original charge is scheduled for March 17. For now, Burger said, she is focusing on trying to recoup some of the money that was taken, as the missing money will make it difficult for the shelter to make it through the rest of the year. For more information, about P.A.W.S. or to make a donation, visit the organization’s website or call 435-688-9748. Sounds like MY EVIL TWIN is ready to step up and volunteer. Go sniff some bicycle seats. I bet you’ve heard that before eh.? Evil Twins Mommy…I believe your comment should be the Post of the Day. Good one!!! I love when you talk dirty. It brings out the inner nasty in you. Badly hungover after a night of celebrating your release? You use to be so sweet mommy, now youre getting hostile. What happened mommy? If I didn’t hand you your lines, you’d never know what to say. What a joke! The people is charge are to blame for not having any controls in place. You never tempt people to help themselves. It appears you are only guessing at what the missing amount is because you should have balanced your cash and books at least once a month. Most cash businesses balance the cash daily – you never did it! Ha Ha as Forest Gump says “stupid is as stupid does”. So just because they made a stupid mistake, it’s okay for this low life to steal from them and (apparently) buy pot with the money that was supposed to be going to animals that truly need it. Yeah, let’s shame the people that volunteer their time and energy so that these animals have somewhere to live and are cared for on their way to their forever home. I agree it was a huge mistake, but it sound like you are just name calling and siding with a thief. Go back into retirement, the real world doesn’t need your negativity. Ahh, retired accountant. Your expertise in financial controls is needed. Please report for volunteer duty. Certainly your time & knowledge are more valuable than your criticism. Perhaps you could put that knowledge to good use by volunteering for a worthy cause! Throw her in the pound. That’ll teach her to keep her paws off money that isn’t hers. If she was desperate for money, she could have asked for a fundraiser. And an ID chip implanted. Time to implement some Controls and segregrate some duties. stupid. People are entirely responsible for their own actions. I agree with all the above posts. How do you lose thst much money over a year and not know? Definitely their own fault I worry about the animals suffering now. Didn’t they (P.A.W.S.) orchastrat the ousting of Mayor Dan? Looks like they got a little pooch-screwing of their own. People with big hearts tend to be very trusting. Every business person knows it is those you trust that are in a position to hurt you the most. We give much and often to Paws and are conflicted about their need to recover the losses on the one hand, and having no idea what fiscal controls will prevent further embezzlement in the future. Further, where we had planned to include PAWS in our will for significant funds, we are rethinking that. Seeing the Chapman lowlife go to prison for a significant time will be a big factor in our future contributions, I am sorry to say. I donate to PAWS monthly and will continue to do so. I also volunteer there, and since this happened, I have increased my involvement. Why? Because if there had been more people willing to step up to the plate to help things run the way they should have been running, this would not have happened. We could use experienced managers, accountants, marketing people, dog trainers, groomers, etc. For every volunteer need we have, I know there is someone in St. George who is a perfect fit. Until they step forward, we’re going to do the best we can filling the gaps while other people call us imbeciles and stop donating. Can you say that in French Poodlenees.? I cannot believe that people are blaming PAWS for the actions of a thief! Come on! They trusted someone they shouldn’t have, but that is certainly no reason to back away from a wonderful organization that helps so many animals and people. I not only will continue to help and donate to them, I will give them more money now to help with the shortfall. I hope most people will step up and donate now and continue to do so in the future and show PAWS that we support them and their mission. We have donated to PAWS and will do so again, whenever needed. Pet rescue is demanding….it is a 24/7 response based endeavor and every one of the staff has a life separate of the rescue. No college that I know of offers a degree in how to run such a program and even if they did no one that I know intended to make stray animals their life’s work. These are amazing human beings, very dedicated. They consider their army of volunteers to be like-minded family so such a violation of trust would hit hard. Give them a break! If you have $10, give them that too…last year’s kitten season was horrific, both in numbers and virus related vet bills. A lot of rescues went beyond their means to meet the needs of otherwise dying animals. It’s time to step up and donate the price of a hamburger lunch…if you can. If you can’t, no foul…. I see they let you out of juvenile hall again. Well, once I fished you out of it, it’s now flowing well. Now, go play on the I-15 and stay out of the sewers. Scum bag. I blame the scum bag, not the victim. Nobody is trying to take the blame away from the thief here. But the fact is that checks and balances should have been in place, and they were not. So PAWS certainly left themselves open to being ripped off. Why does st. George news sensor comments to guide everyone one to liberal thinking, change the name to st. uSSR news.